LATEST of the death rays designed for I modern warfare comes from Bourges, France. Henri Claudel, well known French scientist, is the inventor. Recent experiments with the delicate apparatus have proved it to be unusually deadly when directed at small forms of life. 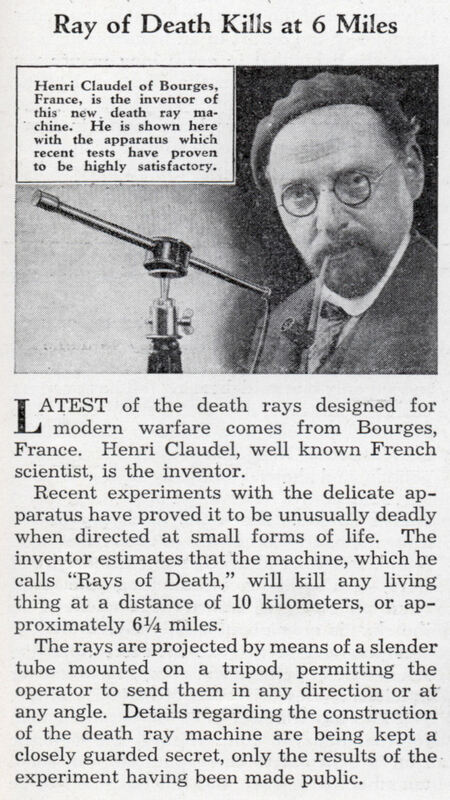 The inventor estimates that the machine, which he calls “Rays of Death,” will kill any living thing at a distance of 10 kilometers, or approximately 6-1/4 miles. 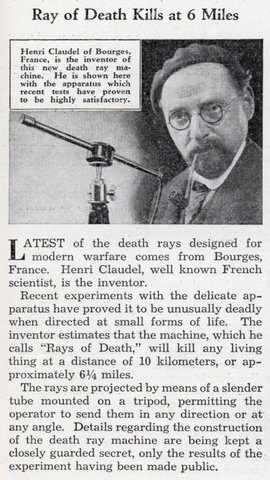 The rays are projected by means of a slender tube mounted on a tripod, permitting the operator to send them in any direction or at any angle. 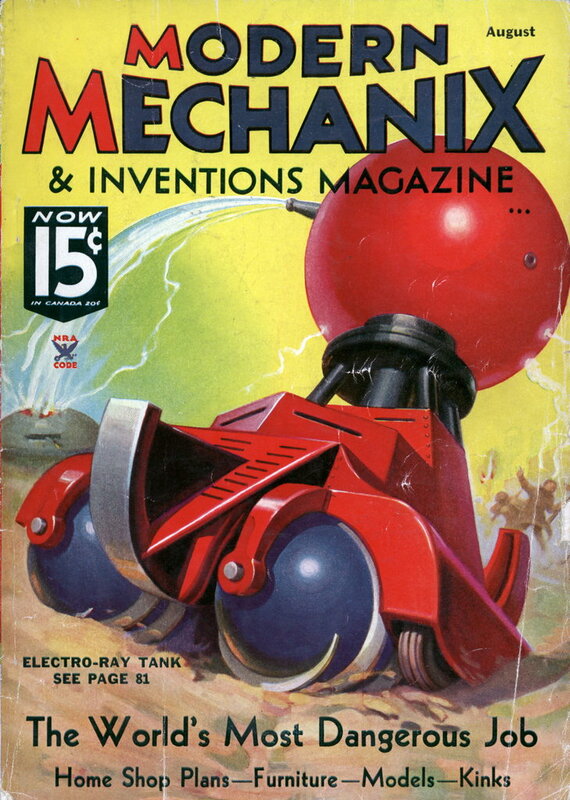 Details regarding the construction of the death ray machine are being kept a closely guarded secret, only the results of the experiment having been made public. It’s too bad the inventor kept it a secret, the French could have used it in 1940.